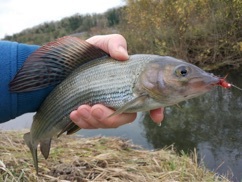 Grayling Trip: At least we were spared the storm conditions that ravaged the River Test at Wherwell last year. Overcast conditions and clear water made fish spotting easier, but they were still spooky in the narrow carriers. Small flies fished on the Duo produced some nice grayling, along with a few out-of-season brown trout. Here’s a good fish that Vince King caught on a red shrimp after Hugh’s very welcome hot lunch. 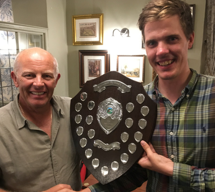 Hector wins the Broadlands Grayling Classic On only his first trip to the River Test at Broadlands, Hector Rodriguez won their inaugural Grayling Classic in a field of 40, which included World and European team members. This pegged-down event required each contestant to make the most out of their 400-yard beat, not easy, especially in the afternoon when others have already fished it before you. 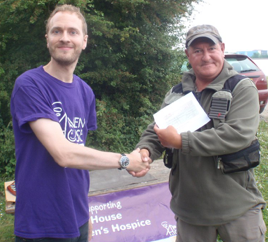 Here’s Hector being presented with his £500 cheque from keeper Jon Hall and international Ben Bangham. Big Fish: Two big fish came out on the same day as our last Autumn Series match (see below). 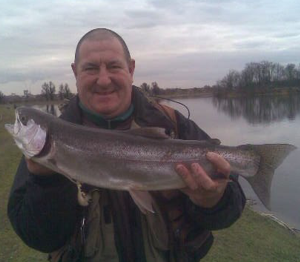 Peter Gulliver had this estimated 6-7lbs fish on an Olive Tadpole fished on a floating line from No4 in the morning. While in the afternoon John O’Regan landed a near-5lb fish from the Causeway of No5 on a Charley Farley fished with the fast roly-poly on the DI5. Who knows what could turn up in our Fur & Feather, less than a week away? Troutmasters Final, Grafham John O’Regan, our qualifier, did not let Walthamstow down, coming a respectable 23rd out of 97 in the bank-and-boat Troutmasters Final at Grafham. Avoiding a blank in either your boat or bank session is the key here, and John’s 4 fish in the morning and 1 in the afternoon saw him finish in the top quarter of the field. 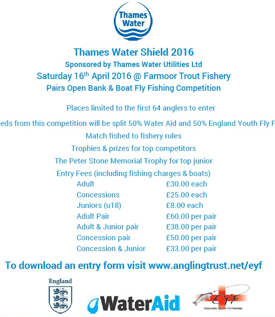 Don’t forget to send in your Troutmasters big fish entries for 2016. Walthamstow hasn’t had a single entry yet but there’s still a few months to go! Parking restrictions The present main car park by the Entrance and Gate Office is currently being reworked to offer a better hard standing surface. It is estimated this will take about six months to complete. In the meantime, visitors are asked to be patient, and park where they can. In busy periods, like weekends, you may need to be flexible and make alternative arrangements. Bewl Bridge FFC’s Grand Max competition is traditionally a floating-line only event, but fell during the recent heatwave, so the fishing was always going to be tough. Not surprisingly, this event saw a third of the 78 entry fail to catch. 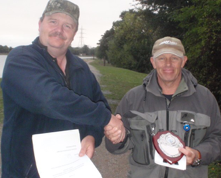 Fishing for Meridian with captain Jim Letham were Kevin Blackwell, Jim Dillon, Mike Heritage, Tony & Harry Fox, who all did exceptionally well to be one of only two teams not to carry a blank, finishing 3rd out 13 with 9 fish. 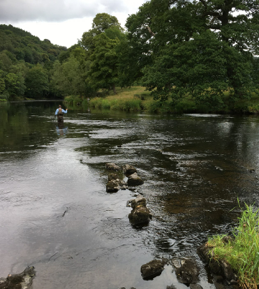 This year’s Rivers National was once again held on the Llangollen/Maelor AA stretches of the R.Dee in Wales. This two-day event saw Harry Fox make a good start, after being in 3rd place after the first day. Windy conditions on day two, however, made it harder for everyone on some of the more exposed sections. His eventual 9th place overall was just a few places out of the England Rivers team and his best ever performance. 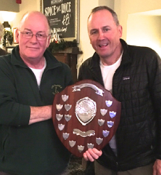 Mike Heritage recovered well after a bad start to finish 19th, with Andrew Green 24th and Tony Fox 26th out of a field of 32 experienced river anglers. 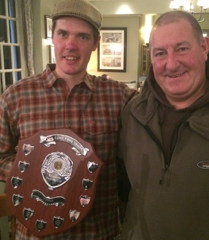 Rivers Champion for the second year running was Andrew Scott with Phil Dixon 2nd. 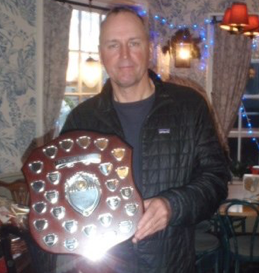 Mike Heritage finished second overall in the South East Fed’s loch-style qualifiers on Bewl, after coming fifth in the second of these two-day qualifiers, and will now go through to the National on Chew Valley lake in September. 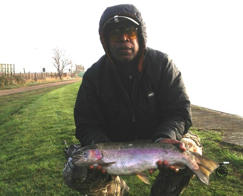 Mike found fish in the Main Basin, while Tony Fox and Andrew Green, drifting off Bramble Bay, found the action slower, although Tony could well have got through with a late run of fish on the Booby, even if some were on the small side. 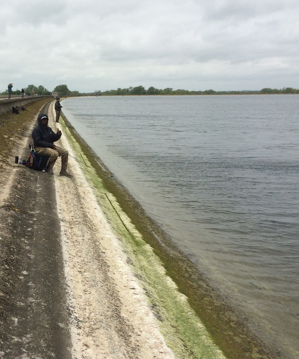 Tony Fox and Mike Heritage did an impressive ‘1-2’ in the first of the South East Fed’s loch-style qualifiers on Bewl, both completing their 8-fish limits in the last hour on dries. With changeable winds and the fish preoccupied on pin-fry, fishing had been tricky, but overcast conditions and a decent ripple saw fish moving well in the afternoon. 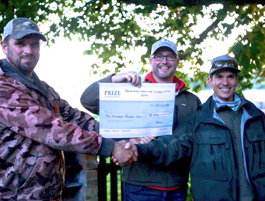 Having won the Bewl Bridge FFC’s boat competition the previous weekend, Andrew Green was hoping the same washing-line tactics would pay off again, but finished a few fish short. 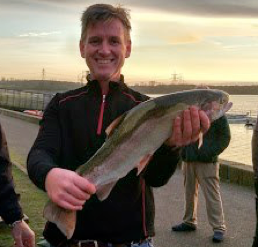 The Farmoor Club Trip enjoyed spectacular fishing on the catch & release Farmoor 1 with catches well into double figures and grown-on rainbows to over 6lbs. Water clarity was the best we’ve ever seen it, making it possible to stalk fish which were regularly patrolling the bank just yards out. With good cloud cover for most of the day, fish were moving from the start and took Hoppers enthusiastically. 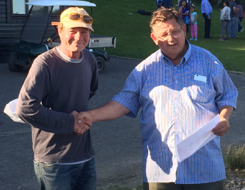 Harry Fox did well to qualify in the recent one-day Loch-style Qualifier at Grafham. 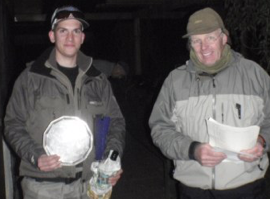 On a day which saw gale-force winds colour up the previously fancied bays along the North shore, Harry found 6 fish along the more sheltered South side, to finish 7th in a high quality field. Walthamstow’s Troutmasters Fish-off saw the wind switch from a West/South West to an Easterly overnight, along with low air temperatures. 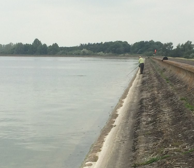 This didn’t appear to affect the fishing too much, with trout being caught, from the start, off the Causeway and West Bank of No5. John O’Regan, however, headed for the relative shelter of the Houses Bank where he made a good start with six fish in the first two hours. After a brief move to the Causeway, he settled on the point of the SW Bay and continued to catch, finishing well clear of the rest of the field with 15 fish for 30-5-0, ahead of Vince King with 10 for 21-7-0 and Frank Daley with 9 for 17-9-4. 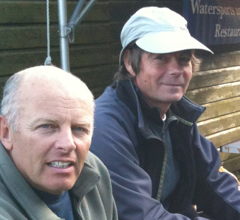 John will fish the bank-and-boat Final at Grafham on the 19th September. Controllers needed for Bank National at Farmoor Sat-Sun 7th-8th May If you’d like to see how the country’s top bank anglers tackle a venue like Farmoor 1, including what flies they catch on, you’ll have a great opportunity, as well as a free lunch, as a controller at the National Bank Individual and Pairs Finals over the weekend of the 7th-8th May. 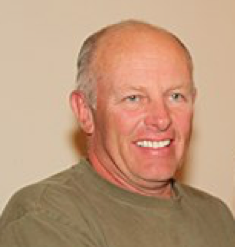 Several club members will be fishing this event, and will appreciate your support. Contact Andrew Green on 07860 565390 for details. 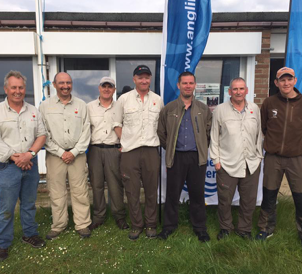 Jim Dillon and Andrew Green both qualified in the recent Iain Barr World Bank Masters heat on Farmoor 1, and will be fishing the National Final at Elinor next month, along with Billy Bridgeworth, who got through at Thornwood (see below). On a tough day, just four fish was enough for Jim to take the top spot on Boobies on the DI5. Andrew also won the recent heat at Elinor with seven fish, mostly on nymphs, ahead of two bags of five fish. 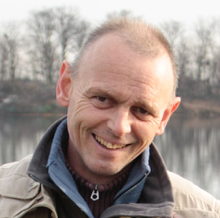 The recent AGM/Auction opened with Chairman Dave Jarvis giving a quick summary of developments to date, especially with regards to the Walthamstow Wetlands project. 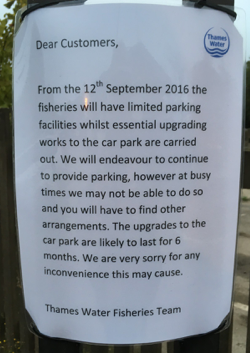 It was hoped that parking charges for fishermen would be included in their fishing ticket and not imposed as an additional extra. The Auction saw good bidding for over 160 lots, with those items donated to the Haven House charity raising £262, on top of our £100 donation in lieu of room hire. Chairman Dave Jarvis, along with John Ferguson and Andrew Green, recently met Will Barnard and Myland Monery of Thames Water to discuss fishery matters, prior to the AGM. 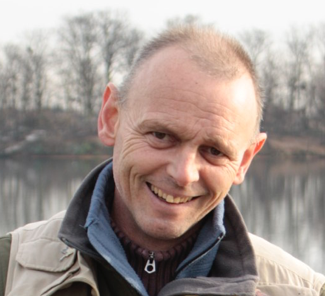 Dave will cover all details then, but while we appreciated the recent stocking, Will Barnard did point out that fishing the same area where a stocking has just taken place is not behaviour that Thames Water, or the club, can condone. We doubt that club members are that desperate, but if you do kill recently introduced stockfish for the table, they’re not going to taste nice. After all, these fish have fed on nothing but trout pellets. Grown-on fish, as well as presenting more of a challenge, taste a lot better because they’ve had a chance to change to a natural diet. 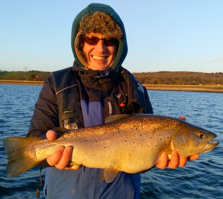 Vince King caught this good brown while boat fishing on Farmoor 1. Taken from the channel on a DI7 and minkie on his second last drift of the day, Vinnie said the fishing wasn’t that easy. Vinnie took one other fish, Marco got three, but this specimen made their day. 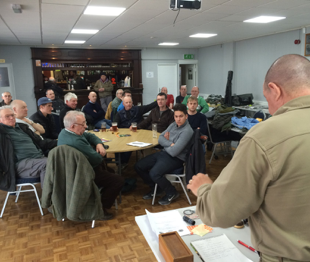 The Fly-tying Evening braved an icy evening to meet up in the excellent Angling Academy building and get the vices out. Among patterns demonstrated were a realistic sandy-cased Caddis by Kevin Blackwell, Bill’s Big Red (good for copying those big red buzzers you get at Chew and Grafham) and the best way to tie a Blob with a neat head. Thanks to Myland Monery and Will Barnard of Thames Water for allowing us to use this facility.